Every now and then we just need to slip on a pair of converse and go moshing...who's with us? Let's get this indie party started with the best indie tunes from 2016! The Welsh four-piece released 'Soundtrack' way before they unleashed their epic 2016 album 'The Ride'. You'll definitely hear some Strokes-inspired riffs in here. Download Catfish And The Bottlemen's 'Soundcheck' now. Metronomy are one of those bands who whenever you see they've released new music you just know that you're in for a treat. Taken from their album 'Summer '08', 'Night Owl' didn't disappoint. Download Metronomy's 'Night Owl' now. La, la, la...la, la, la...songs like these don't come around that much. More on the poppier side of indie, WJC's 'Girls Like Me' is as catchy as they come. Download Will Joseph Cook's 'Girls Like Me'. Warpaint are just cool okay, there's no arguing the fact that their songs make you want to don a leather jacket and go for a walk...and yes, we might bump into a few people here and there, what of it. How happy were you when The Strokes finally released new music this year? Their EP 'Future Present Past' channelled some of that old Strokes vibe that we all fell in love with. Download The Strokes' 'Threat Of Joy' now. We're just happy The Last Shadow Puppets came back for a second album. They could've released an album of silence and we still would have given it a listen. It was an 8 year wait for new LSP music but it was really worth it, thank you Miles & Alex. Download 'Bad Habits' by The Last Shadow Puppets now. We all secretly wish we could be Father John Misty, however for now we'll just have to sit back and enjoy the master do his thing. 'Real Love Baby' was the first release since his widely loved album 'I Love You, Honeybear'. Download 'Real Love Baby' by Father John Misty. Bon Iver are one of those bands who appeal to you whatever your taste in music. With their beginnings heavily footed in folk, they've grown into a beast of a band who combine samples, techy synths, real instruments and haunting vocals to create something truly unique. Download '"33 GOD"' by Bon Iver now. Manchester has an amazing track record for producing incredible indie bands, so it won't surprise you to know that Blossoms are of course from the North too. 'Charlemagne' was actually co-written by indie stalwart James Skelly (yes from The Coral). 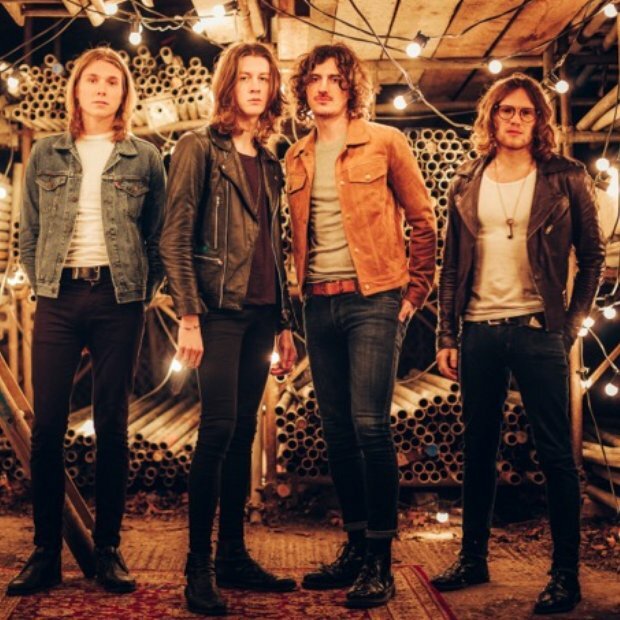 Download 'Charlemagne' by Blossoms now.